Lois Gibbs speaking to Love Canal homeowners in May 1980, after the Environmental Protection Agency announced it had found evidence of chromosome damage in neighborhood residents. Some 40 years after chemicals were first observed bubbling from the ground at Love Canal, the health risks resulting from the poisoning of the Niagara Falls, N.Y., neighborhood are still making headlines today. Yet we sometimes forget that the Love Canal disaster might have amounted to little more than a footnote, were it not for the relentless defiance of a group of average citizens. Without the efforts of those citizens – most of them housewives -- the modern environmental movement as we know it today might not exist. After the snows melted from the heavy winter of 1976, residents noticed an increase in noxious odors and strange, burning rocks that had periodically appeared in the neighborhood, which had been built atop an old chemical landfill. A series of articles in the Niagara Gazette uncovered a pattern of birth defects and health problems in the area, sparking protests from alarmed householders. Lois Gibbs, a young housewife in her 20s who had grown up on Grand Island, soon became the lead spokesperson for concerned residents as president of the Love Canal Homeowners Association. Gibbs’s 7-year-old son developed epilepsy and other serious health problems soon after he started attending the 99th Street School. 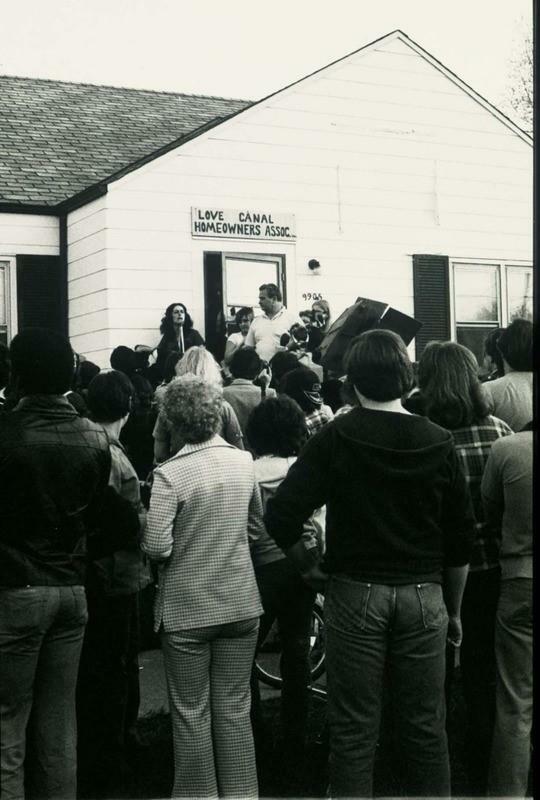 By 1978, the New York State Department of Health and other government agencies acknowledged the problem, and President Jimmy Carter declared a state of emergency for Love Canal. But while the Homeowners Association demanded the evacuation of the entire neighborhood and the relocation of all families, the state moved only 200 families, about one-fifth of the neighborhood. The rest were told they were not at risk. In response, the Homeowners Association conducted a health survey headed by Gibbs and Dr. Beverly Paigen, a Roswell Park cancer research scientist. The survey, conducted outside the government’s evacuation zone, found that 56 percent of the children born in the neighborhood between 1974 and 1978 had significant birth defects. The survey also found an abnormally high number of miscarriages, crib deaths, epilepsy, urinary tract disorders and other significant health problems. Yet when the study was presented to officials in the State Department of Health (most of whom were men), they dismissed it as irrelevant. One derided it as “useless housewife data.” Gibbs, Paigen and their fellow activists kept up the pressure, confronting officials at contentious public meetings and news conferences. In exasperation, the state’s deputy director of public health blurted to Gibbs, “Why don’t you go home and tend to your garden?” This, after all, was the late 1970s, when the idea that a group of women could be as worthy of attention as a group of men was still largely seen as ridiculous. However, by 1980, studies conducted by the Environmental Protection Agency confirmed what Gibbs and Paigen had already found, and by the end of the year more than 800 remaining families were evacuated from Love Canal. Once removed from the neighborhood, many health problems, like those experienced by Gibbs’s young son, dissipated (although some seemed to resurface decades later). The neighborhood itself quickly became a weird dystopia, its modest homes boarded up and cordoned off by barbed wire. Later in 1980, the federal government established the Superfund program to clean up toxic waste emergencies like the one in Niagara Falls -- it is still vitally important today – and Gibbs went on to become one of the nation’s leading environmental activists, founding the Center for Health, Environment and Justice. Love Canal was a catastrophe, but the grassroots of the modern environmental movement took root there – and we owe a great deal of that to the determination of those relentless housewives from Niagara Falls. 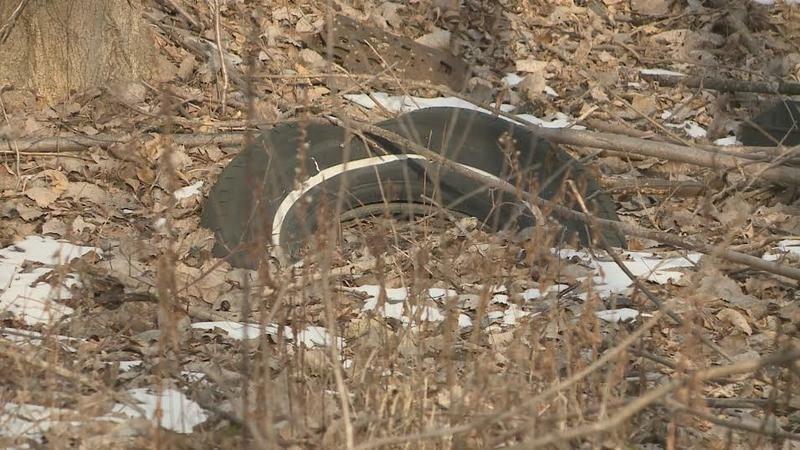 It has been almost 40 years since Love Canal seeped into the public consciousness and as local residents know, neither the chemicals nor the story have gone away. 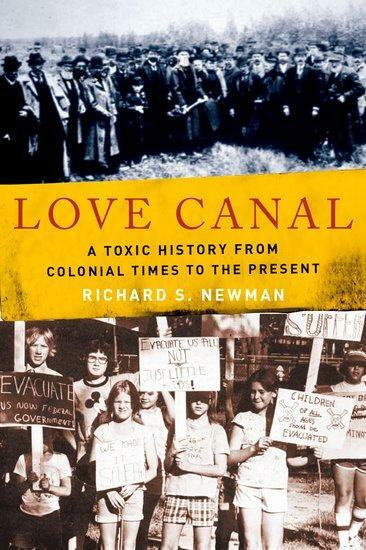 In his new book, "Love Canal: A Toxic History from Colonial Times to the Present," Richard Newman looks back to the days when the canal was dug. State environmental officials insisted for decades that residents living on the North Tonawanda-Wheatfield border had nothing to fear from the Love Canal waste buried in a neighboring landfill. Then, last year, they declared the landfill a Superfund site, even after 80 truckloads of contaminated soil originally removed from Love Canal were hauled away. Residents, many of whom report serious illnesses, are understandably upset. Dan Telvock, with our partner Investigative Post, dug through documents and filed this report.